Over the years 2005 - 2009 EXARC collected among its members frequently asked questions in archaeological open-air museums, as part of the Delphi project (2004-2005). 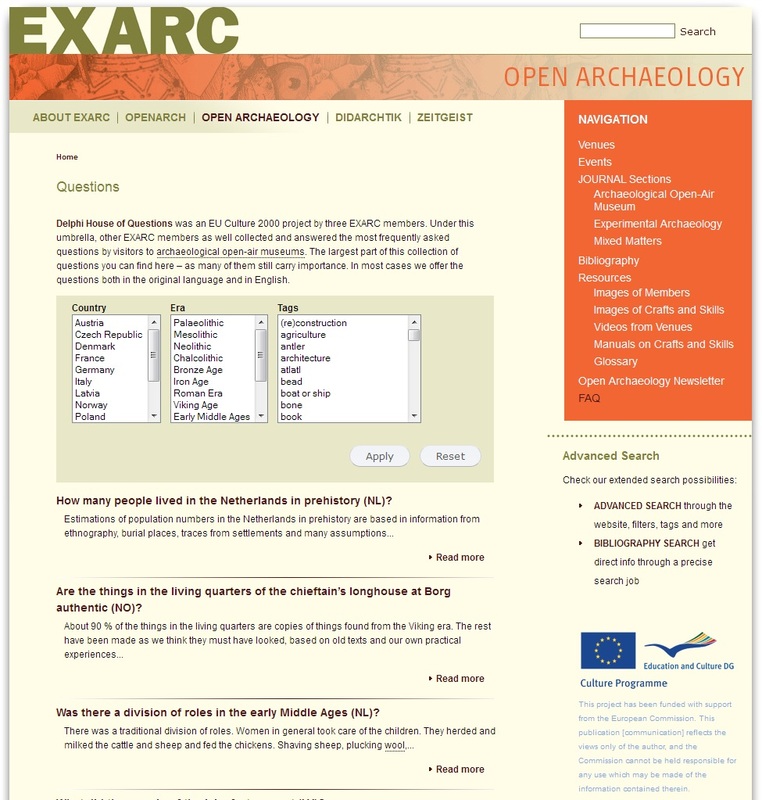 As we like to show the results of EU projects EXARC has been involved in, we have added most of these questions early 2012 into our Open Archaeology website. Over 15 of our members from 13 countries have contributed - spanning all periods in archaeology. It was a pleasure to collect these questions, find answers and present them both in native language and in English. Check http://www.openarchaeology.info/... for all questions. The Questions are also available on EXARC website.